Meet Delia Evin. Delia is a freelance illustrator living and working in Brooklyn, NY. She primarily works in watercolor, creating projects in a variety of formats including editorial illustration, temporary tattoos, card decks, exhibitions and more. Delia has participated in several Light Grey Art Lab shows, including the current Animystics Exhibition, Beautiful Forever and the upcoming Omnibus Treasury. It is always a pleasure to share her work. Below you can meet her incredible cat, see her work for the exhibition, and find links to more of her projects portfolio work. 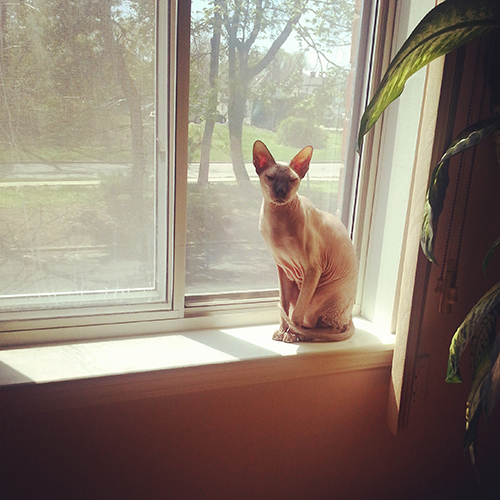 "I have a sphynx cat who currently lives with my mom. His name is Benjamin Button, because he looked like an old, wrinkly man when he was a kitten." 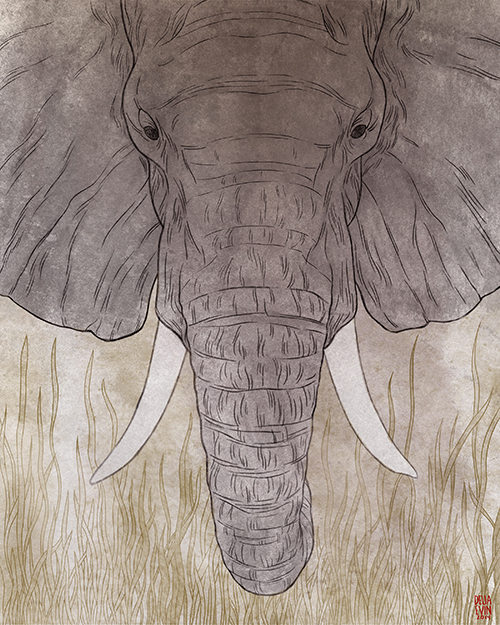 "An indigenous people in Africa, the Mbuti, believe that the souls of their dead ancestors reside in elephants, while in parts of Asia elephants have been associated with lightning and thunderstorms." This is a sneak peek of Delia's work for the Animystics Exhibition. You can check out their work on the Light Grey Shop here, and you can see more of their work on their portfolio website here. All of the work for the show, all of the originals, prints, and handcrafted-works are available on the online shop, as well as on-site at Light Grey Art Lab! Proceeds will be going to local shelters, the Animal Humane Society, Feline Rescue, and Homeward Bound Dog Rescue- it's for a great cause! Proceeds from Delia's work will go towards Feline Rescue Inc.